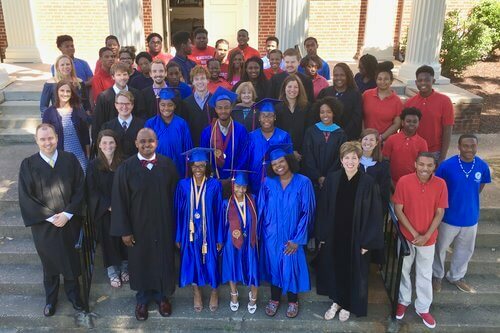 04/12/2019 9:00 AM by Jacob C.
Church Hill Academy is sponsored and supported by CHAT which does a lot of great work around the neighborhood. 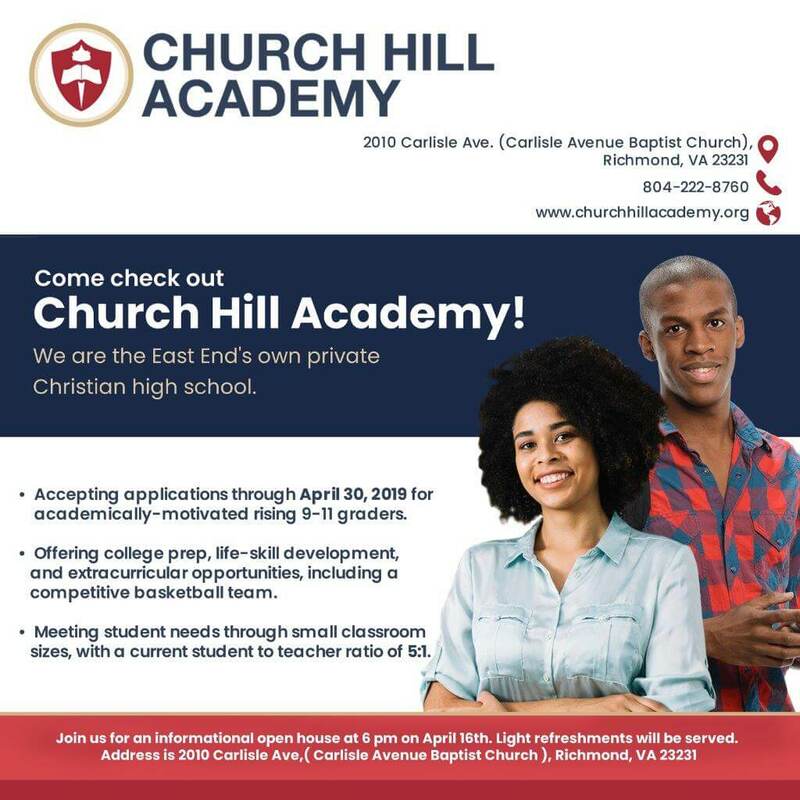 Next Tuesday evening, we will host an Open House for new, interested families who haven’t yet heard about our school, Church Hill Academy: the East End’s own private, Christian high school. An important fact for incoming families is that we are supported by the non-profit Church Hill Activities & Tutoring. This enables us to offer a private school education for the total cost of $100 per year! With your help, our search for rising 9th, 10th, and 11th graders may lead us to just the right students! Thank you for posting this flier, if you could, and for sending any interested families to our website, where applications for 2019-2020 are available.